The information below is from classes that were previously taught. The Extension Gardener Course is a series of six gardening classes offered by the Franklin County Center of N.C. Cooperative Extension. Based on practical information you can trust, the course is designed for anyone wishing to learn more about environmentally sustainable, science-based gardening. Topics that will be covered include building healthy soils, growing vegetables & fruits, sustainable pest management, ornamental plant design/placement, and caring for your landscape. Make your yard a more enjoyable and sustainable place to live. Classes will be taught by Colby Griffin, Franklin County Extension Horticulture Agent, and will be held in the Annex of the Franklin County Extension Center, located at 103 S. Bickett Blvd. Louisburg, NC. Too often gardens and beds are created where planting is easiest or most convenient, but this does not always result in a healthy, sustainable or attractive landscape. This class will help you make the most of your yard by looking at the big picture to determine what you want and need from your landscape, the best location for different types of plantings, and increase your understanding of how your yard can contribute to the health of our local ecosystems. The soil is the foundation from which all plants grow. If your soil cannot provide plant roots the nutrients, air, water, beneficial microbes, and physical support they need to grow, your plants will never thrive. This class will focus on common soil problems, how to diagnose them, and how to improve your soil with compost, cover crops, and other soil amendments. Your garden can be a source of fresh, nutritious vegetables and herbs throughout the year if you plan it right and know how to care for them. 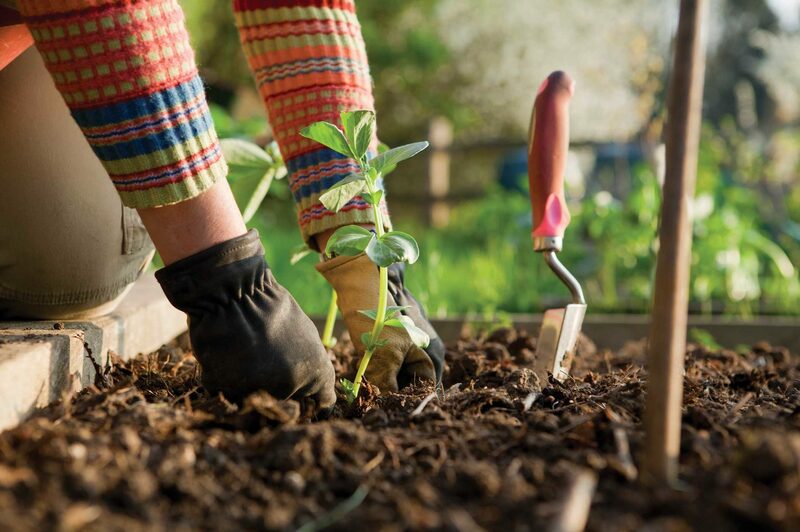 During this class, you will learn the basics of year-round vegetable gardening in beds and containers, including planting times and care for a range of crops, season extension practices, and integrated pest management practices to minimize pest issues. We will explore which fruits can realistically be grown in our climate, recommended varieties and their pollination needs, care and pruning, and integrated pest management practices that will maximize your chance of success. Dr. Mike Parker, NCSU Extension Specialist & Associate Professor (Tree Fruits & Pecans) will be joining us for this class. There are thousands of varieties of trees, shrubs, and flowers you could plant in your yard, but which are most likely to thrive and enhance your landscape’s habitat value for pollinators, beneficial insects, birds, and wildlife? This depends on what conditions exist in your yard. During this class, we will explore what you need to know to select the right plants for your landscape as well as learn about some of the best trees, shrubs, and flowers for Franklin County landscapes. Even when planted in the right place most landscape plants will need care from time to time, including those promoted as tough or low maintenance. During this class, you will learn how to care for your landscape without harming the environment. Practices covered will include pruning, weed management, watering, and mulching. Not everything you plant will thrive, but you can’t know what to do to help your plants if you don’t know what’s wrong. During this class, we will learn how to diagnose plant problems by studying the symptoms caused by common pest insects, plant diseases, man-made problems and abiotic disorders. Pests happen. Sometimes you can overlook them but other times you need to control them to keep your plants healthy. We will explore sustainable, integrated methods to reduce pest pressure in your yard as well as how to control insect pest and plant disease outbreaks when necessary. Methods covered include creating habitat for beneficial insects, maximizing your plants’ ability to resist pests and use of natural and synthetic pest control products.